EAN: 0743172081605 Beschikbaarheid: Nog slechts 7 beschikbaar! Reliable. Versatile. Powerful. Efficient. 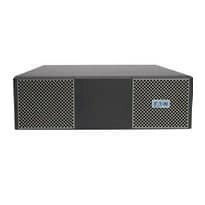 With double-conversion topology for constant power conditioning and up to 93 percent efficiency, the Eaton 9PX 700-3000 VA models support your overall goal of business continuity. It’s built for scalable deployment, features a graphical LCD for local status updates and integrates with virtualized environments. Er zijn nog geen vragen gesteld over Eaton 9PX EBM 2U 72V.